Congratulations to Craig Pittman and Matthew Waite. 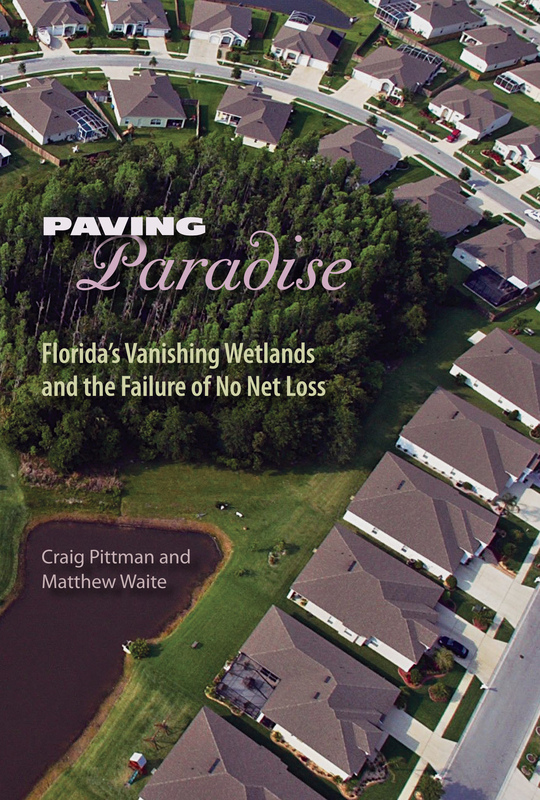 Their book PAVING PARADISE: FLORIDA’S VANISHING WETLANDS AND THE FAILURE OF NO NET LOSS finished in third place in the Society of Environmental Journalists’ Rachel Carson’s Environmental Book Award. Become a fan of The Florida Bookshelf on Facebook by this Friday afternoon (EDT) to enter a drawing to win a copy of PAVING PARADISE!